We are now open and enjoying making new friends! As you may know, Caspar Children's Garden was closed while searching for a new location. We are very excited to have found a great new home and to be serving families on the coast again. Thanks to the generosity of St. Michael's Episcopal Church, we are now offering preschool in their Townsend Hall. 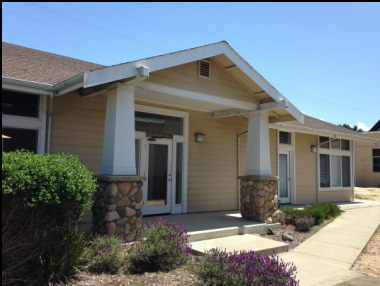 It is a beautiful facility located behind the church on the corner of Fir and Franklin in Fort Bragg. We are now using the name Children's Garden. ​We are a "hybrid" State Preschool. We accept private pay families as well as state funded families.